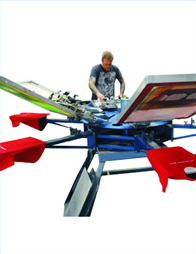 Ideal for large orders and complex images onto any colour garment. For each print colour a screen needs to be made up making it unsuitable for quantities of less than six. This is the traditional process used for most clothing decoration. The prints are long lasting and can be large and fairly detailed. 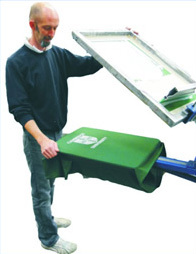 For each new design and each separate print colour a screen needs to be made for which there is a set up charge. 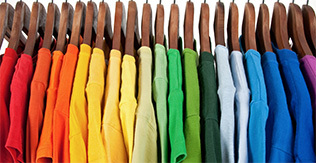 After this the cost per shirt includes one print in one place – extra colours and prints in other places such as the sleeve or back are at an additional charge. Lead time is usually around ten working days but if you have a sooner deadline please let us know- we’re flexible! For this process there is usually a minimum order of six items (more if your design contains more than one colour or has multiple print positions). If you need fewer than this then please see our small quantities section. 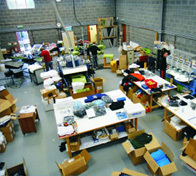 Small multi-colour images can be more cost-effective embroidered instead. 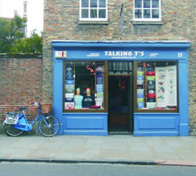 For our full range of garments please visit our clothing catalogue.